As many of you may know, we have had the great honor of being a part of the charity Wish Upon a Wedding for the past 5 years. 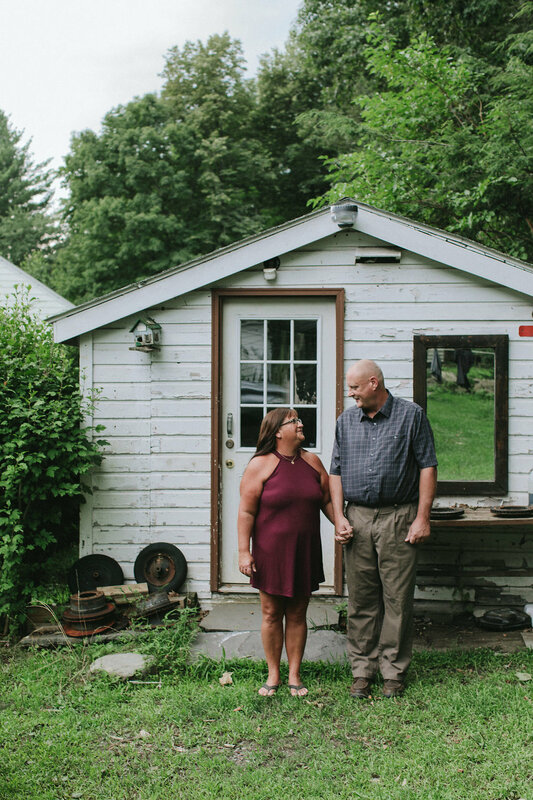 Although Sarah has been a member of both the New York board as well as the National Board, we have not had the opportunity to grant a wedding wish for a couple - until now! We are so excited to introduce you to our wish couple, Claudia and Daniel! On Sunday, August 26th, we were given the honor of granting Claudia and Daniel's wedding wish! Before their big day, Sas, of Sasithon Photography, gifted the couple with a gorgeous engagement shoot that we are so pleased to share here with you! Even though the skies opened up mid-shoot, Claudia and Daniel's love shone through. We are so pleased to share their engagement shoot and story here! Claudia and Daniel met each other almost 30 years ago when they were introduced at a party by a mutual friend. He proposed almost a year later and the rest, as they say, is history! They have had the pleasure of raising two children together and are now blessed with three grandchildren! However, in 2012, Claudia was diagnosed with stage three breast cancer. She underwent an extensive course of treatment including chemotherapy, radiation, a double mastectomy and a full hysterectomy. Even with this extremely aggressive treatment plan, in 2016, she found out that the cancer had metastasized to her bones. Since then, she has undergone a partial hip replacement and is currently on oral chemotherapy. Although Claudia and Dan have built a beautiful life together, one thing has always been missing - marriage! We are so honored to have been chosen to give them the wedding of their dreams! Stay tuned for the images from their wedding coming soon! Read more about Claudia and Daniel here!